The bottles come from various car boot sales averaging around 50p each. 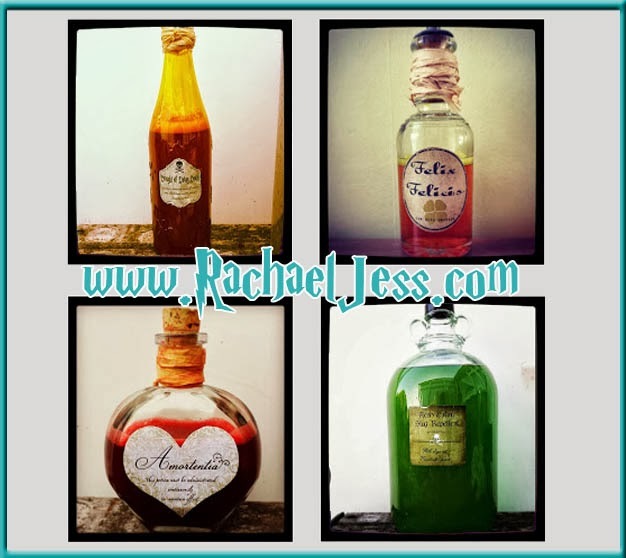 The love potion is actually a perfume bottle (and my favourite). 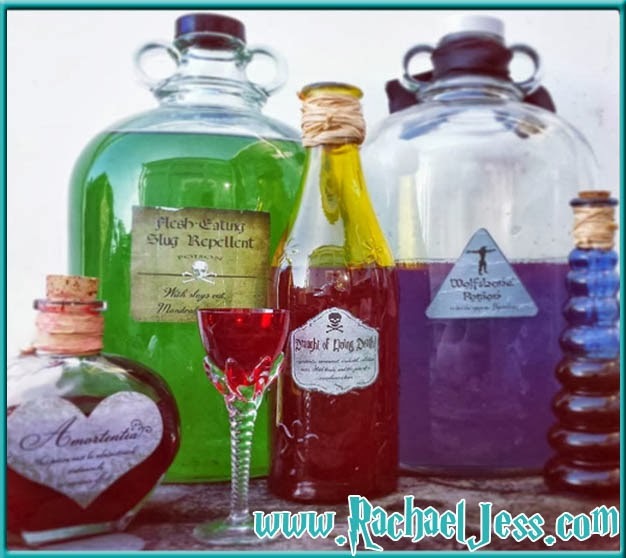 The "potion" itself is just water with food colouring in (so much fun with these)! I just saw these, then noticed the date, I'm only a year late! I do love them though. And if you're a Potter fan I heard there's a new book in the pipeline.